Study portrait painting with Prof. Bhatti, the winner of the 2018 Annual Member Exhibit (with his painting "Mystic Connection, left). 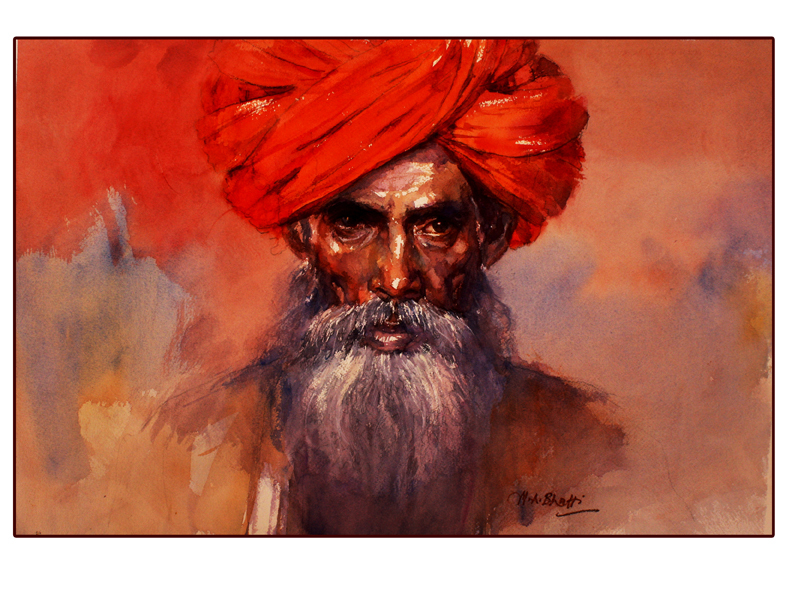 This class is designed for learning the basics of portraits painting in watercolor medium. The focus will be upon painting faces, eyes, nose, lips, hair and backgrounds. We will learn to create human form, tonality, color values, transparent layering technique and coloring skills. Artists who are interested in portrait painting will enjoy peers critique sessions during regular demos in the class. Portrait painting itself is a fun for many reasons; it is thrilling and exciting as well as challenging when painting with watercolor. The class will work individually as well as in groups. Note: Bring good quality portrait photos/prints (6x6 inches) of your choice as reference for drawing/painting.